Solar could very well be the future of energy, but right now it sure is expensive. SolarCity CEO Lyndon Rive told Tech Insider it can cost anywhere between $12,000 to $20,000 to install solar panels on your home — and that’s after federal tax credits. That’s a pretty lofty price, but one benefit of solar is it can save you money on your electric bill down the road. With cost of electricity rising, generating and storing solar that you can use when utility rates are at their peak can cut down on your monthly bill. So what it really comes down to is if those savings will make up for the money you set aside for the installation in the first place, and how long will it take to do so. The good news is that the price of solar is bound to fall, though it may take a while. 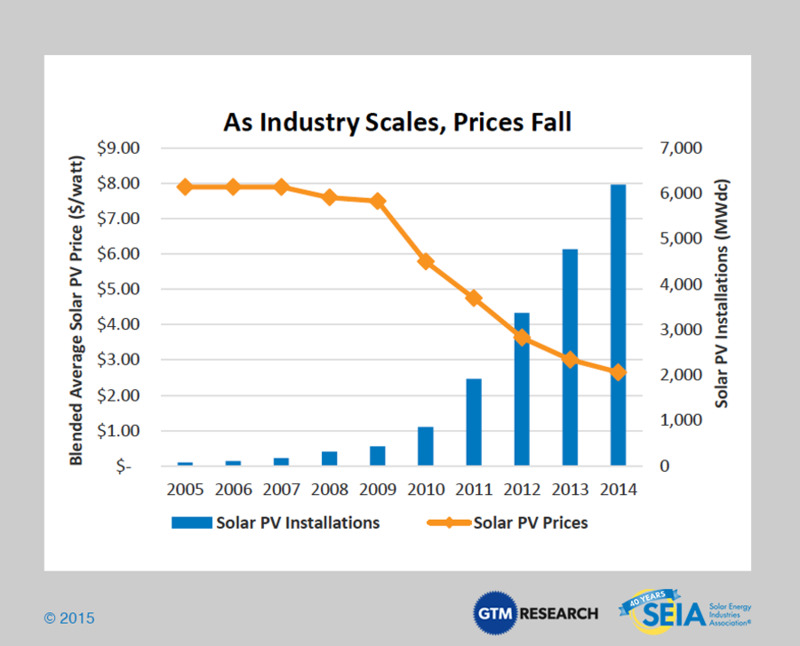 In fact, the cost of solar photovoltaic systems (PVs) in the US has already fallen more than 50% during the last five years. Rive had a more conservative estimate for prices falling in the next five years, predicting a price drop of just 3% to 5%. “So not much — you’d be better off going solar and experiencing these savings immediately rather than waiting to go solar,” Rive explained. But the US is investing $745 billion in renewables through 2040, which will make wind and solar the cheaper sources of electricity when compared to natural gas, according to a Bloomberg New Energy Finance analysis. The analysis states that renewables will account for 44% of US power generation by the year 2040. 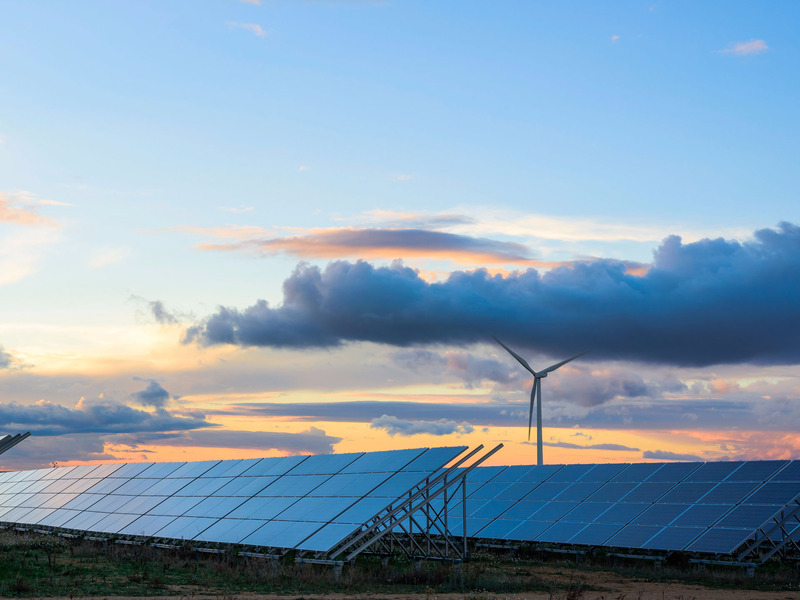 All that being said, the future is looking pretty bright for renewable energy. “There’s no doubt in my mind that in our lifetime we will get rid of all fossil fuels. No doubt,” Rive said.